John Lewis recorded a market-beating performance over the Christmas period, with like-for-like sales up 3.1% over the last six weeks of the year. The retailer scored its biggest ever day of sales on Black Friday, 24 November – but despite this, managing director Paula Nickolds was tepid on the benefits of the calendar event, arguing it put unavoidable pressure on the retailer to cut prices. "We are utterly committed to Never Knowingly Undersold," she said on a conference call this morning, referring to the retailer’s policy of always matching prices offered by rivals. "Black Friday is no different in that context – so that means being part of Black Friday isn’t really optional for us. If it didn’t exist I wouldn’t invent it – but it’s here today, and I don’t see any prospect of that changing." The pressure on the retailer's margins had increased as a result of the need to maintain competitive prices while costs climbed, Sir Charlie Mayfield, chairman of the John Lewis Partnership, said. Gross sales at John Lewis were up 3.6% year on year to £1.03bn in the six weeks to 30 December, meaning it outperformed the market by 4.5%, according to data from the British Retail Consortium. 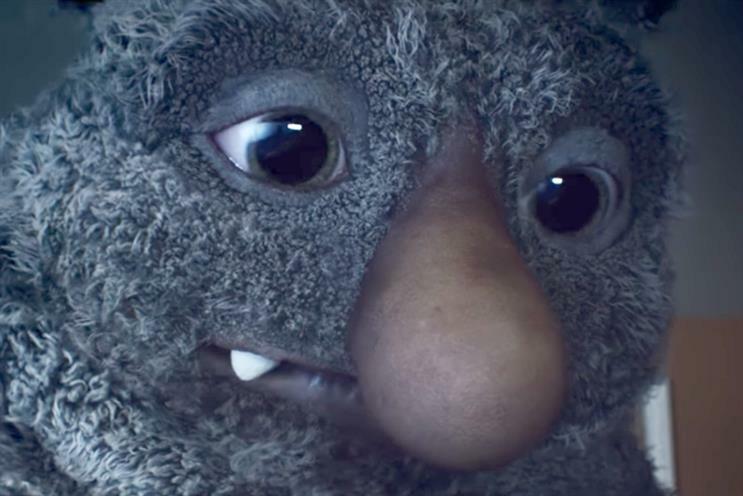 Nickolds said the 2017 Christmas ad campaign, "Moz the monster", had had an "encouraging performance" – pointing out that it was the most viewed ad on social. While some data has suggested the campaign has achieved less cut-through than those of previous years, Nickolds said the well-established formula still worked for the brand. "The talkability and front-of-mind opportunity is what we’re setting out to deliver, she said. "It talks to a truth about the brand, and how thoughtful people are in terms of what people buy for their loved ones at Christmas." Asked about sales in-store versus online, Nickolds said shop sales were down 3% on the previous year, but added: "We don’t believe that’s the right way to look at sales now because most of our sales are driven by a combination of channels." Sales at the other part of the John Lewis Partnership, Waitrose, were up 1.5% on a like-for-like basis – but if this year’s trading period included New Year’s Eve, as last year’s did, that figure would be 2.2%, the business said. Waitrose managing director Rob Collins flagged up the fact that 65% of John Lewis click-and-collect orders had been picked up from Waitrose stores as evidence of the strong integration of the two businesses, commenting: "It’s perfect harmony is what it is."